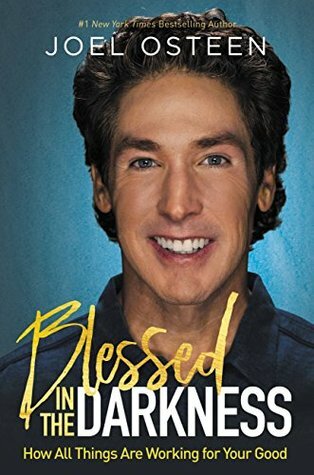 I am going to be honest, I am not a huge Joel Osteen fan, but "Blessed in the Darkness" was a great book that I really enjoyed and I think he did a great job with this book. We all have experienced seasons in our life where things don't go the way we have planned. Whether you have been in financial turmoil, difficult relationships or your family has been attacked, we have all faced trials in our life. However, it is what we do and who we look to in those situations that make us the people God has called us to be. The main message of this book in that regardless of the issue or circumstance you are facing, turning to God when life doesn't make sense or when it's messed up, is the only way to find your way through the valley. When we come to him and truly seek his face, he will help us in the difficult circumstances of our life. Joel is transparent from his own life experience and professional experience of where he has faced trial and difficult circumstances. This book is a huge encouragement if you are going through a stressful season in your life and you will find it inspiring as you seek the God of all wisdom who can help you through any difficult season or circumstance. God will work everything together for your good! Thank you to to the publisher for providing a complementary copy for review. A favorable review was not required. I give this book 4.5/5 stars. 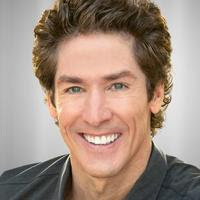 JOEL OSTEEN is the author of seven New York Times bestsellers. He is the senior pastor of America's largest congregation, Lakewood Church in Houston, Texas. More than 45,000 people attend services there every week. His televised messages are seen by more than 10 million viewers each week in the United States, and millions more in 100 nations around the world. His 24-hour channel on SiriusXM Satellite Radio and millions of social media followers have prompted numerous publications to name him as one of the most influential Christian leaders in the world. He resides in Houston with his wife, Victoria, and their children.